Reactions continue regarding the allegation by the Eritrean government accusing Sudan, Qatar, Turkey, and the Eritrean Ulema League of “acts of subversion” against Eritrea. In a statement released today, the Eritrean Ulema League (EUL) considered the Eritrean accusation as “irresponsible and baseless.” It also said its activities are limited to educational and cultural activities and supporting preachers. The EUL said the Eritrean Ministry of information’s definition of it as “obscure” is strange when it comes from an official entity that prove it is ignorant of the EUL’s vision. Regarding the Eritrean government’s statement of April 4, 2019, the spokesperson said, “we are closely following the statement” and he called on all parties to lean towards understanding and dialogue. Today also, the Turkish Ministry of foreign affairs replied to the Eritrean statement, saying the accusations have no source and it is based on wrong information. The Eritrean government has neither provided proof that the alleged EUL held a meeting in Khartoum nor that Turkey, Sudan and Qatar are involved in “subversive acts” against Eritrea. 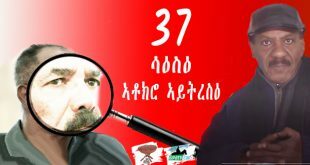 Next Negarit #38: ዓሻ ዝተኸሎ እንታይ ንግበሮ ? The long and dark night of military rule in Sudan has ended (details pending) and the sun of freedom has risen broadly on the pure skys of Sudan. Let us celebrate and congratulate the people there. An aware army leadership acts when the people make it sure they say enough is enough. The Eritrean people said and repeating enough to the horrible one-man despotism – a much worse than General Bashir’s regime. Shall we see some move in Eritrea too? First of all I would like to congratulate to the Sudan’s people. I wish i would be there to celebrate their happiness together with the people there. i think it’s time to overthrow this stupid dictator and to do the same thing like the Sudan’s people. We Eritreans have to react right now brothers. its just the right time to say enough to dictators. Lets move to fight for our freedom !!! It won’t take long; it is coming. Just watch what regime surrogates say and do. For them its like trying to stop the sun rising. Just give some time.,,Let us see may be more time is needed to complete our job.. I love when women lead movements and be at center of galvanizing their fellow citizens to bring change. They instill courage to the cowardice men to come out from their hideouts (that includes the cowards pen names). They have the auras of magnetism to make them involve in popular movement. 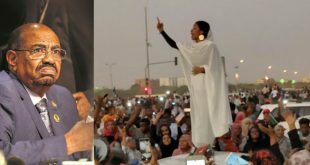 Look the Nubian Sudanese woman, giving speech at the center of the protesters, standing in an elevated stage, telling them to stand strong to the end in bringing down Al-Beshir. Amazing to watch. Congratulation to the people of Sudan for their success until this stage. Hopefully to see their democratic transition goes successfully. I was laughing this morning when I read a comment from one of the defenders of the Eritrean regime, saying we will do our own way, as if he is for change in our country. You are spot on; women in Sudan have brilliant record in critical phases of their country’s movements. They were at the forefront in 1964 revolution against General Aboud’s dictatorship as they were active in the popular revolts against Numeiri when the General Swar Al-Zahab took over and handed power to an elected civilian government of Sadiq Al- Mahdi which had proven more corrupt than the soldiers’ regime before it and was toppled by General Al Bashier. Why military cooperation between Ethiopia and the European Union countries Why now? France and Ethiopia signed military cooperation and the desire to create an ethiopian navy, and the Italian defense minister in addis suggesting that military co-operation agreements are to be signed. China – Russia – Turkey on one side vs the West, Eritrea accuses turkey of destabilizing the ethio-eritrean rapprochement, and the unrest in Sudan with Al Bashir at the center of a tug of war between the West who want him in the ICC and Russia and Turkey who are aspiring to set foot in the region with military and naval bases in al bashir’s sudan. How much is ethiopia relevant to the west in the geopolitics of the region? What is up, awatistas? As usual the know profession, Ethiopia (rulers from special group) serves the west as mercenaries in exchange for meagre donation. This is the history of Ethiopia, Mr. Horizon, for the imagined 3000 years of independence. They revolve around this geopolitics with the west in the region. They (those Ethiopian group) are the source of unrest in the region. How much do you think cost to set up a modern navy from scratch? They just want to have a piece of that. It is business, as simple as that. It is shame Ethiopians are embarking up on this expensive project for which there is no national priority considering the poverty in that country. However, it is not my business as far as they don’t do it on Eritrean waters. 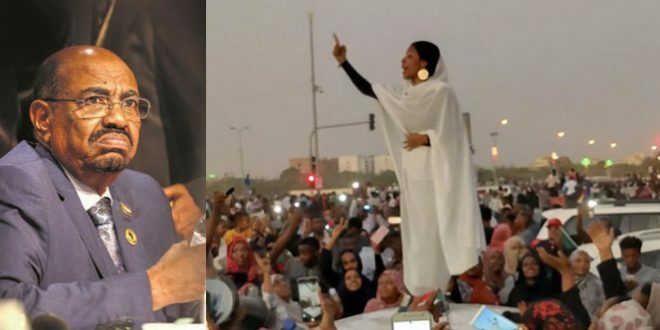 Which way do you think sudan will go, towards democracy, or do you think that history will repeat itself as it did in egypt? In egypt’s case, it is said that a worse dictator El Sisi has replaced Mubarek. Who has the upper hand in the sudan, the people or the military? I was trying to call to memory where the military has given birth to democracy, and i could not come up with a single example, in africa, the middle east or gulf states and maybe anywhere else. What could the people do so that the revolution is not snatched out of the hands of the people by the military, as it happened in the arab spring? What do you or anybody else think? Anyways, whatever may come, it is good riddance that Al Bashir is going away. You have short memory. Sudan is the only country in Africa has given birth to democracy. You can read about it on the Gedab News just posted this morning. According the Middle East Monitor, the Sudanese defense force start to protect the protesters from the Sudanese security force. It looks the SDF will join to the demand of the protesters – the step down of Beshir from power. Do you think the EDF will emulate the development in their neighbor country? Do you think there is a difference in an “intellectualized professionalism” between the two Defense Forces? What do you think? The past two days there was attempts of security forces to disperse demonstrators. It appeared differences, but it seems the situation is calm from yesterday. I think, security, police and Sudan defense forces are in agreement. Most probably, Al-Bashier might hand the country to the Sudan Defense Forces. It is the only establishment, at present, that is trusted by the people of Sudan. Sudan defense forces, security men and police forces are well established institution in Sudan. They are composed of well educated and trained professionals. You could say, they are the only well organized institution in the Sudan. They have enough professionals who can guide the country at any critical situation. Concerning the Eritrean defense forces, you could ask Isaias who was destroying everything related to Eritrea and her people. Don’t you think that if I could ask Issayas, you could ask him too? I already asked and answered the question, “Isaias who was destroying everything related to Eritrea and her people”. I think, you are busy. I think to answer your question, yes they will, I don’t think if the army is educated or not professional or not the only reason. If you break down to an individual level (that is single person) what would an Eritrean Sawa recruit if he is in similar situation? I think he would react like those in the Sudanese army and will not shoot against his/her own people. It looks to me the Sudananse revolution is very well organized and they are using NON violence tactics to bring down the dictator (that is, using the sign (V), the long / all night demonstrations, you can see they are well prepared). It’s not a spontaneous but very well organized and very well thought. In this case, the army generals weigh in their options and they will usually side with the people, unless they think their faith is tied with the dictator like in Syria for example. where they will defend him to death. Eritrea situation has a lot of similarities with Sudan. That is, he is not able to divide the people of Sudan based on ethnic or religion, that is there is no one really would die protecting him because of the risk that they would face if he is removed. This type of people revolution have the best chances of peaceful transition. Nonviolent struggle in itself is not without bloodshed. Sudanese nonviolent protest so far has demanded 49 lives. But we Eritreans will make miracle in removing a dictator without sacrifice. That is how every Eritrean feel in the current struggle. Isn’t it Berhe? Yesterday I started to respond but interrupted before finishing. Now we see the good news that Al Bashir has been removed. I think there is a lot to learn from what happened in Sudan. First I think you seem to have very negative opinion about the word “non violent” which is what happened in Sudan and what happened in Algeria just recently. Can you please tell me what’s the exact term that happened in Sudan and Algeria? I thought about it again and I think “people uprising” is also a good work. what I am asking you to define is, what is that you think the Eritrean people need to do to remove the dictator. At least the method of struggle. Having said that, let me turn the question back to you. Not that I don’t believe on “nonviolence” Movements. But Nonviolent movements has its own objective realities. The main factors that determine the viability of nonviolent movement is “the nature of the dictators and the nature of the people in themselves.” Take this two issues and evaluate wether it is feasible or not. Whether I am wrong or right, I did my own evaluation and I don’t think it works in our realities. Could a nonviolent movement work in North Korea? Absolutely not. You know the reason. I don’t see any difference to our realities. Nonviolent movement is always happen from domestic drives. And the Eritrean inside do not want to face the despot, rather they are opting to leave the country in droves. Second even if they attempt the EDF won’t protect them as the top and middle rank of the army are entrenched in the institutions of the regime. Take these two realities and assess you thinking on it. Third, if you are expecting outside driven nonviolent movement (outside—> inside move) then in my view it is nonstarter. So Arkucha that is my assessment. The only option out there is either “coup” or “natural death” of the evil man. Until the current objective realities change, I stood by the assessment I gave now. Ok, here is a deal. I am going to boycott AT discussion form until IA is removed. I find the website instead of encouraging and providing valuable input but it’s the opposite. I just can’t understand, we go out our way to find a reason why it’s not possible when I think there is every possible opportunity and enough evidence that is is possible. 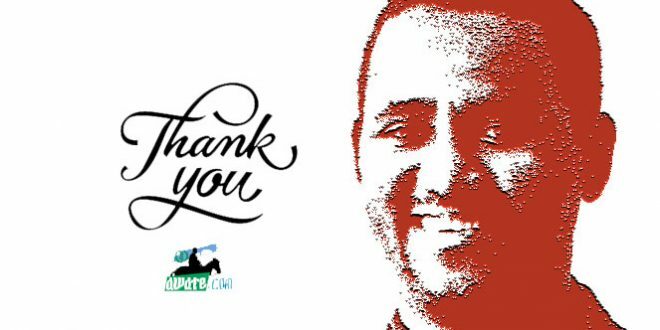 It’s not Bashir, Mubarek or Butefilika that made it happen so they can be over thrown…it’s the people who made it happen. Millitary people are also humans, they have family and friends as well. when they see the wave has turned (at individual level) they change and be part of that change. In Eritrea we have seen it and we have prove. Akria students when the marched all the way in the president office, while the police the army, the security did nothing. The only issue was, had that demonstration was organized and co-ordinates then the PFDJ will have no where to look to stop it. That’s exactly what happened in Sudan. We will see you in free Eritrea. Selam Emma; Sudan is ripe for this kind of change. They have history, precedent, experience their youth, the schools etc as I said in my comment. I think the violent vs peaceful is mute now for Eri because even if we want the violent way, the armed struggle like the ghedli is impossible now. The coup be it peaceful or violent is mostly less likely given the military structure, a country without defense minster that we have or a defense minister without power, who goes to a junior military person for his orders/money. It is all about degrees. No one says peaceful is impossible in Eri, it is less likely. If the University was not closed, if the military service was normal one and not slavery, we would have better chance. it is not people are capable for peaceful change. They are people like in Sudan but the situation is the difference. Sudan despite the criminals at the top functions as normal society so the chances for this kind of change is higher. When Al-Bashire came to power, there were no deaths, none. Nay, I lied, one was injured. when Swar Al-Dahab came, the same and now some deaths, that is peaceful I think in our case even if the under age kids and women and elderly rise up in Asmara peacefully they will massacre them and than will lead to violence. So it is not about the people’s ability but about the regimes brutality vis-avis the situation they have created. Bashir is brutal like IA but the situation lessens that (read soldiers side with people) the Eri soldiers also will side with the people but they are not in Asmara. they are starved in the borders, “halaw wesen” as if that is an endearment. From historical prospect, yes we had similar situation in the 50s in terms of political pluralism. But, keep in mind while Sudan had SDF after its independence in 1956, Eritrea which was tied by Federal arrangement with Ethiopia haven’t had a defense force of its own. So not quite similar in the over all super structural picture. Second, eventhough Al-Beshir came to power from SDF, the higher military and security ranks are well educated and can facilitate smooth transition of power to the people. In our case because the despot is against education it is very hard to find well educated in the rank and files of our EDF. As a result if a coup happens it will be the same kind of coup that we are familiar with in our continent. Once the our military hold the power they will be entrenched in the government institutions of the state. Suppose if we assume change in both countries at this stage of their history, the nature of the outcome of the change will be different. I will take you back to 6 April 1985. Jaffer Al-Numeri was the son of SDF, but they have abandoned him when the entire people of Sudan demonstrated against Numeri. At present, the entire people of Sudan are not against Al-Bashier, at least up-to now. There are people who support Al-Bashier and there are people who are against him. The SDF doesn’t want to stand with one part against the other. The moment those against Al-Bashier become the majority, the SDF will change their mind and side with people against Al-Bashier. I think, before they move to this stage, Al-Bashier will hand over leadership to SDF. Of course, all this scenarios will decide it the balance of demonstrators on the two sides. It seems within the coming ten days everything will be clear. All the leaders of SDF have made it clear, the SDF will not allow Sudan to enter into a critical stage of civil war or chaos. 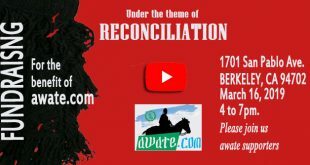 ሓይሊ ባሕሪ ኢትዮጵያ ኣብ ምጽዋዕ 🇪🇷 ከም ዝዕስክር ናይ ጅቡቲ መራሒ ፕረስደንት ኢስማዒል ዑመር ኣብ ምስ ናይ ፈረንሳ juene Afric ዝብሃል ማዕከን ዝሃቦ ቃለ ምልልስ ሓቢሩ. There is nothing new in this news. At his residence in Asmara, Isaias presented to Dr. Abie Ahme a painting of Red Sea where boats roaming the sea. The Ethiopian Parliament endorsed to establish a marine force. Abie Ahmed in many occasions spoke about founding a marine force in the Red Sea. France agreed with Ethiopia to train and arm the marine forces of Ethiopia. 1) For all practical reasons and especially logistics and purpose of mission, the best primary location for Ethiopian navy is Djibouti. 1.1) there is railway access, the road way is the shortest from Ethiopian territory. 1.2) there are close by (ethiopian) ground force bases (around 30% of the total army count), the third strongest airforce base is around the corner (Diredawa). 1.3) if ground force support is needed (like missile, or attack helicopters), the geomorphology in djbouti/Berbera/ Assab plays more friendlier than massawa. 1.4) the Ethio-Djbouti economy is by far the most integrated economy in the wider horn of Africa region. All the above suggests that the Ethiopian navy will be in Djbouti, or Somaliland, or Assab. but Assab is less likely, due to non existance of economic, security and people to peoe routine engagement. 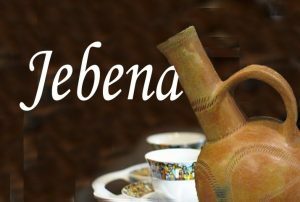 What I personally found it to be strange is not the content of the news item per se but the fact that we all have internalized the method of getting crucial information about Eritrea through a foreign entity. Second, the other day, Monkey and “What you call” travelled to Somalia on Ethiopian plane which is obviously owned not by Eritrea but by a foreign entity. And the fact that we are too desensitized to all these bizarre and abnormal behavior of the regime, nobody even bothered to bring it up. The utter ignorance and disrespect of PFDJ to the Eritrean people is unbelievable, and shockingly, still enjoys unconditional support. What a shame. The Ethiopian Airlines thing is not a big deal but what I cannot and will NEVER believe is the news about the Ethiopian Navy’s future site changing stories . Do U really believe President Guelleh’s narration or the one we heard a week ago that it will be in Djibouti ? Ok,let us say that it will be Massawa but since when can,was or will France or be allowed to do business in our Red Sea with its recent notorious military action against Eritrea during the Eri-Djibouti Conflict? May be the Digital Weyane is behind the news thru Guelleh ,their old buddy? We heard also the American Navy in Djibouti will help Ethiopia build its Navy. How can Guelleh have an access to that serious secret and even if he has a priv tonit,how can he be authorized to disclose and publicize such a TOP SECRET? May be PIA did so to let Eritreans get informed thru a third party. Where the HELL are the Eritrean Old Guards ,Intellectuals and Patriots hiding if these conspiracies are going to be materialized !? Did u guys notice that PIA started wearing bullet proof vest? good advice let them enjoy their conspiracy theories. Let me go straight to your last comment which made me chuckle. Isaias is wearing a bulletproof vest? My next question is of course, how do you know? Why would a man who can dodge bullets al’a Keanu Reeves in “The Matrix” who can also inscribe his name by firing bullets on a wall? ወዲ ኣፌ ትኣርግ ኣላ ማለት’ዩ፣ That sure is an end of an era. Nowadays, any news regarding the region, and the hermetic regime in Eritrea especially, should be received with extreme caution. On Ethiopia having a navy, I think Ethiopians are smarter than many may want to think. I mean they won’t take the risk of undertaking such a gamble and enter in to a contract with a despot and invest in a project they know its lease of life would to the last only to the minute the despot wwill inhale his last breath, unless they foolishly intend to wage war against the Eritrean people and want to repeat history. that are spent on policing the waters and the burden that comes with it. The money that is spent on policing the waters can easily use for schools, hospitals and other such social issues. People; Eritrea needs to work with the world to make any different in the people’s life and the developing the country and the first country we need to work with is Ethiopia. Because Ethiopia established a Navy, it does not mean Ethiopia going to move the sea from where it is. People! Come on, let’s be smart and let’s change the people’s life standard. We got to move on from this rigid insecurity. The source is a French news magazine called Jeune Afrique. I don’t know French but sources are saying he said it in an extensive interview when he was asked if the naval training will be in Djibouti. He said ‘no it will be in Massawa’ and implied that it’s Ethiopia’s rightful place as it had it’s original naval base there. The question I have for you, not that I expect you to reply because you ignored previous questions of mine, is why is it a problem for Eritrea if Ethiopia builds a naval training academy or base in Massawa? Can they turn around and devour us? Reminds me of Dr. De Soto. Can we outfox the fox, if it ends up being a fox? Millennium, thanks. Your answer is spot on. I agree with you. That is a fair question. I personally don’t see any problem with that. It is becoming a problem and making people vexed for a number of crucial reasons. First, it is being decided by one man and one man only. If we had political institutions as in a parliament where members can debate and deliver upon it, we as people would accept their decision because we trust their judgement. Second, lack of transparency where we are left not only to speculate but we receive vital information as the issue at hand through a third party foreign entity. We should focus our debate on lack of institutions and lack of transparency as opposed to on should Ethiopia place its Naval power in the Red Sea. Would you mind help us verify the news is baseless? 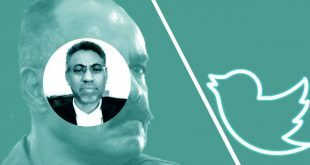 Because we do not have a representative to call; we do not have a parliament to debate our issues; we do not have elected president to hold accountable; we do bot have brave journalist left to ask questions and demand answer from government officials; we do not have organized Oppositions to scream for us…. we are simply helpless. Any news about PFDJ, be it from inside or foreigners is always baseless to Millennium. Your question for him is fundamental question. But I don’t think he could verify it as baseless. Like what stated above when it was reported by french magazine it was news but once it was refuted by Yemane g. meskel it becomes baseless since president of Djibouti is not the spokesperson for state of Eritrea. 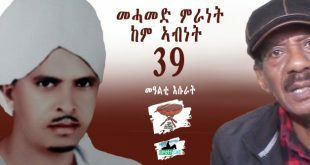 Yemane G/meskel is the “Mohammed Saeed al-Sahhaf” of Eritrea. You know Mohammed Saeed al-Sahhaf as a minister of information was making outrageous lies during the US invasion of Iraq. So if the finding of your truth is from Yemane Charlie, you should start to worry about your integrity. So far I did not see any thing from him to doubt his response. If I see one then I will call him out on his lie. I don’t have any worry about my integrity. One day Amanuel hidrat told this room Yemane monkey arrested in New York .So that you know the gossip master . Rule 101, if a news is denied by a spokes man for an authoritarian regime it has to be true. Have you heard of Comical Ali? He was denying that their defence line has been broken, while the American tanks were rolling to the gates of Saddam Hussein palace in front of him. You can doubt him as much as you want since it is your prerogative but I did not see any thing to doubt his response. If that is your yardstick what make you to believe what authoritarian Ismaïl Omar Guelleh said. PFDJ’s stupidity is boundless. Just read what the guy who responded to you is saying about Charlie’s denial of the report on Massawa. He simply expects Charlie to tell us the truth. Andrei Gromyko the former Foreign Minister of the former Soviet Union was known as “Mr. Niyet” as in “Mr. No” and not surprisingly Charlie has beat him to that. Actually Mr Niyet (Mr No) was the most skillful diplomat in the international stage. He was the longest serving diplomat (foreign minister) of USSR, as matter of fact in the world. His nickname was gotten from his veto frequency when he was an Ambassador of USSR in the UN. He played the central role in the establishment of “Detente” that include salt-I, salt-II, ABM Treaty, Nuclear Test Ban Treaty and many others with the US. True that he was a consummate diplomat and my intention to compare him with the good for nothing Charlie was limited to their obsessive denials about anything and everything. Even though I am not a member of PFDJ, It will be an honor for me to be called PFDJ sympathizer than a TPLF apologist in this forum. Am excellent answer, let them regurgitate that answer until they get the gist. 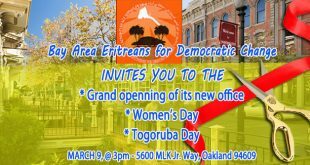 PFDJ is an Eritrean entity and we deal with it in that sense. Wayane (TPLF) is an alien entity and we deal with it in that sense. I know Wayanistas are replaying the figment of their imagination. They could not be the once to be called to talk about our sovereignty. ቀይሕ ባሕርና ውሑስ እዩ። And if all settles and the sticking issue is resolved, why not cooperate on mutually benefiting projects such as developmental and mutual defense packages? 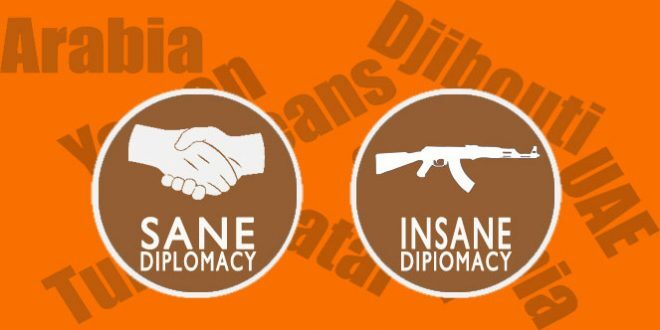 What is peace for if both countries could not cooperate? Cooperation does not affect the sovereign status of any piece of our sea and land. If we are prepared to cooperate on the borders which are vulnerable to encroachment, why not cooperate on the sea, which is far away from any international; border? It is just a stupid argument. As it stands, there are no agreements signed apart from the general ones we know. Countries move their armies according to day to day operational necessities. 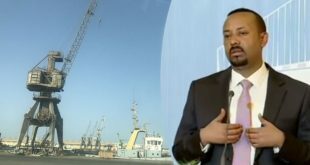 But Ethiopia has not crossed to Assab as some fake news are alleging to have been the case; there is no Ethiopian Navy in Massawa, there will not be one for the near future. “There is no Ethiopian Navy n Massawa, there will not be one for near future”. How do you know? And what guarantee do we have under the leadership of IA? Who is to stop him? The quoted part has present and future components. 1. At present, there is no Ethiopian Navy in Massawa or in any Eritrean Red Sea waters. I have confirmed that through my channels. Now, you could take that or throw it through the window. 2. The second part is based on my deductive reasoning. My reading of the region and,particularly, Ethiopia and Eritrea’s recent history and the current chapter of their relations tell me that they have to go some distance before entering into such a sensitive matters. We are still stuck in the first phase of trust building, which is resolving the border issue. As far as you have joined the debate, surly you don’t join for the good of Eritrea, thus I put a big question mark on entire information. 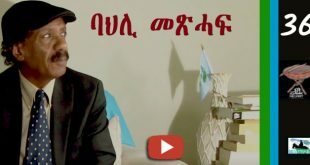 Either those who are speaking about Omar Gelli interview should forward a source or it is a fake news, and its source is PFDJ. If you follow a crow, unquestionably, will lead you to a stinking dead animal. I think, it is an attempt from the regime to shift Eritreans from the undeniable to deniable information. It is an endeavor of frustration, an attempt of restoring poured milk. 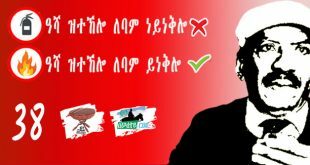 I think, Omar Gelli information is minor to what Eritreans hear from the mouth of Dr. Abie Ahmed, his parliament, other important sources of Ethiopia, and above all this the “Guide us Dr. Abie” mantra of Isaias. You missed the point. My attempt was to trigger a fundamental question that the fact that the country you love doesn’t have a constitution, parliament, elected president, free press, independence court, and independent legislation, but instead, you ignored that as normal and tried to spin it by switching your position from “baseless” to “ I do not see any reason why we would not let them have it” to “fabricated.” Please let’s go back to the fundamentals so we can develop a firm position on issues that matter most, and I will replace the link you have requested with beautiful song on weekends. The two answers that you lamped together were given in response to different questions. The “baseless” remark was done in relation to the general tendency that I observe here on this forum in that people get very excited over a piece of news the origin of which is usually unknown. We have seen numerous such incidents here. It was a general remark. And in that line, until someone furnishes an evidence that the said president has indeed said that, it remains baseless. And the moment you produce the evidence, then I can accept it as news worthy. But to this date, I have not been able to see the said source. But then, even if the Djibouti president has indeed said it, what should be the next move? It naturally follows you will want to hear it from the horse’s mouth. You will want to confirm if the news is indeed true by asking the one concerned? You will ask the government of Eritrea and that is what some people did. And the government, through its MOI, said the news is “utterly false.” End of story. The second remark that I made stating my opinion if whether it is a problem if the Ethiopians can have their navy in Eritrean waters was actually made in response to a question asking for my perspective on the matter. And I replied that I have no problem with it as long as it is done after appropriate due diligence and the decision is made with the consent of the stake holders. I also said now may not be the right time. I am afraid saving PFDJ and the unconditional revenge against TPLF at all cost has more priority than the country’s sovereignty and its people. The despot himself said in his latest interview don’t expect for release of any political prisoner just because Ethiopia did so, and of course then he bailed out the follow up part two interview. Actually, it is precisely that. If PFDJ had the power to do it now they would have done it. History, shows that they haven’t defeat their nemesis without making alliance. So they are looking forces from Ethiopia that could allied with them to defeat the current nemesis (TPLF). They don’t care on the lives of Eritreans as far as defeating their nemesis could extend holding the domestic political power. The question is could they find some reliable forces that could give them leverage to do their dirty dreams. If you don’t mind I wan to understand from historical perspective. The reason I asked is, because you have good historical knowledge. Before Italy, how and what did Ethiopia kings did to trade with outside world? I am trying to understand what was their sea outlet / access for trade? I am asking because I am not sure how they overcame the natural physical challenges that would allow them to do so? What I mean is, what was road going from the Eritrean high lands all the way to Massawa was possible before Italians come? I have read that Egypt wanted to control the source of the Nile and it wanted to invade Ethiopia. And there was war in Gurae and another place. What was the path Egypt took to get there? Is is via Sudan? When the British come to capture Teodros, did they come via Sudan to Gonder? I think it will be the last time Issias breathes air from this planet if in fact this news is true , my question is , how idiotic would it be for Ethiopian foreign policy blue print drafters to land in landmine that would Automatically fail , I think the public out burst will be simply a big challenge even for these who want to take power after Issias. It was just yesterday over 20,000 young men and women fallen to defend what they believe in Eritrea. I believe it is too early for Ethiopian navy to get a seat in our waters , Economic integration for the whole region is a must do but I don’t believe Eritrea under Issias is ready for such decisions either . We need a responsible governance to have any meaningful cooperation with Ethiopia. Whether it is true or not as Eritreans we should be asking why we are learning the fate of our country through foreign Medias, and why the government is keeping us blind when major political decisions being made that could possibly undermine our sovereign. I think those are the basic question we should be asking. Yemane g. meskel already refuted what is reported by French magazine. No Eritrean will allow or accept Ethiopian Navy to be based in Eritrean land period. My friends did not die in assab front in 2000 for Ethiopian Navy to be based there or in Massawa. No body gave PIA to do that decision. IA: How are you Yemane?